Malawi’s Kasungu magistrates handed out a record sentence recently of four years in prison to a man who killed a Serval cat. Ganizani Nkhata went to prison for four years because he couldn't pay a fine of MK450 000 (US$1 000) after he poached the cat in Kasungu National Park in August 2014. 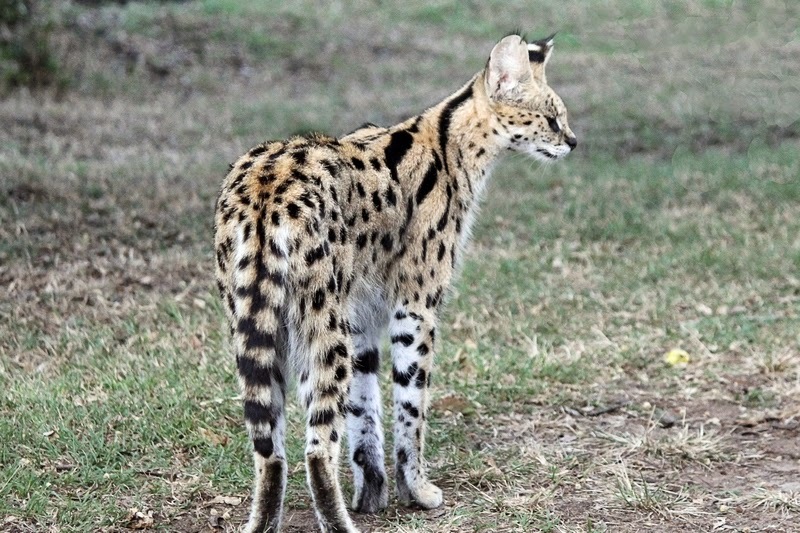 The serval had been rescued and subsequently released back into the wild by local wildlife charity, Lilongwe Wildlife Trust. Servals are small spotted cats, sometimes mistaken for leopards. On the 12th August they lost the data but not the signal from a tracking collar tat was being used to log the cat's movements in the Park. They signal finally pointed to the house of the accused person where it was hidden. The Senior Resident Magistrate made it clear that he wanted to show that wildlife crime was being taken seriously by the authorities and that the very future of Malawi’s wildlife, and indeed tourism and the economy, were being threatened by this type of activity. Great idea! They should try it in Tanzania.